Hi guys!! Today piCture pOlish is holding their Fest 2015. We were asked a while ago through Instagram to express our interest in participating in it. Of course I didn’t miss such opportunity and I sent them an email. I got a reply from lovely Jules and I was chosen to participate in piCture pOlish Fest 2015. 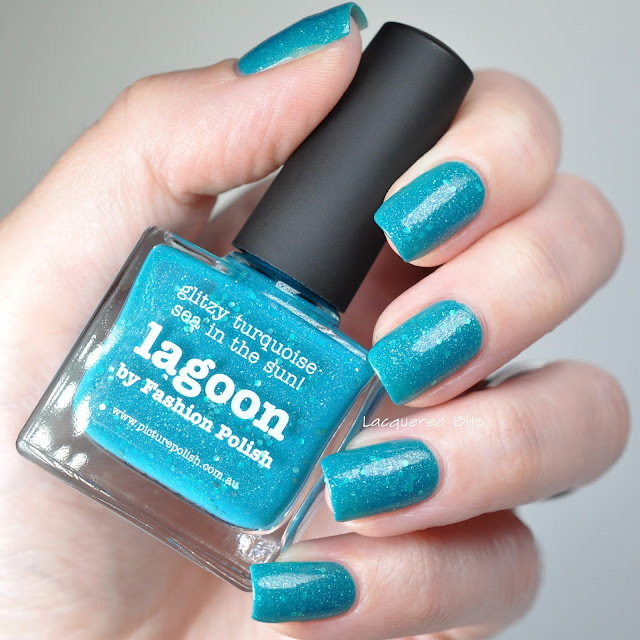 I was chosen to do the swatches (there was also nail art category, but I decided to do the swatching part) and they sent me Badass, Lagoon and a new shade Muse. 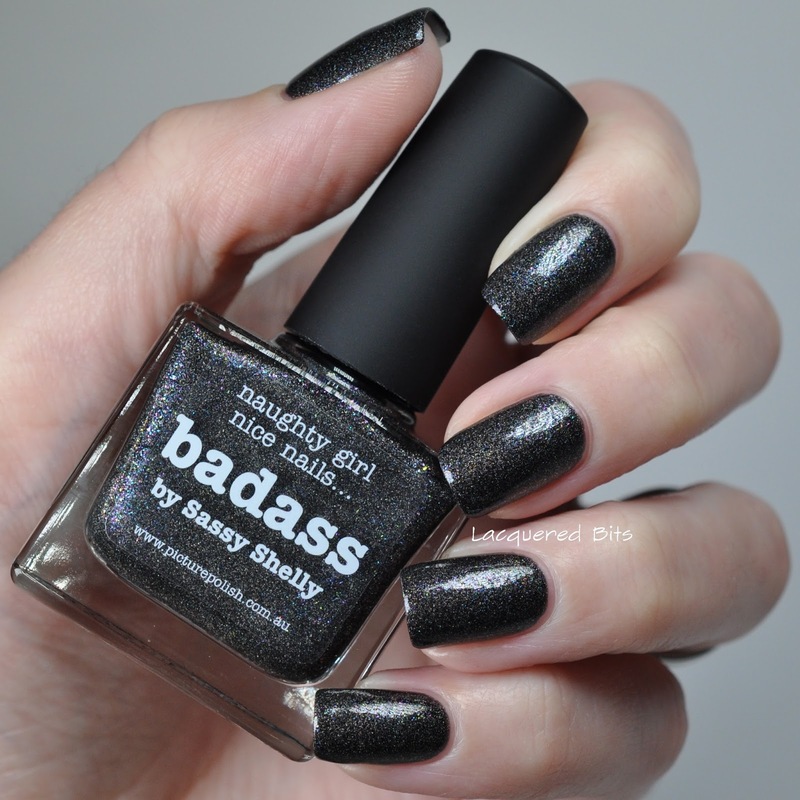 I was so excited when Jules told me I am getting a surprise shade and I have to keep it secret. And I must say I love it! So without further ado I present you the three shades. 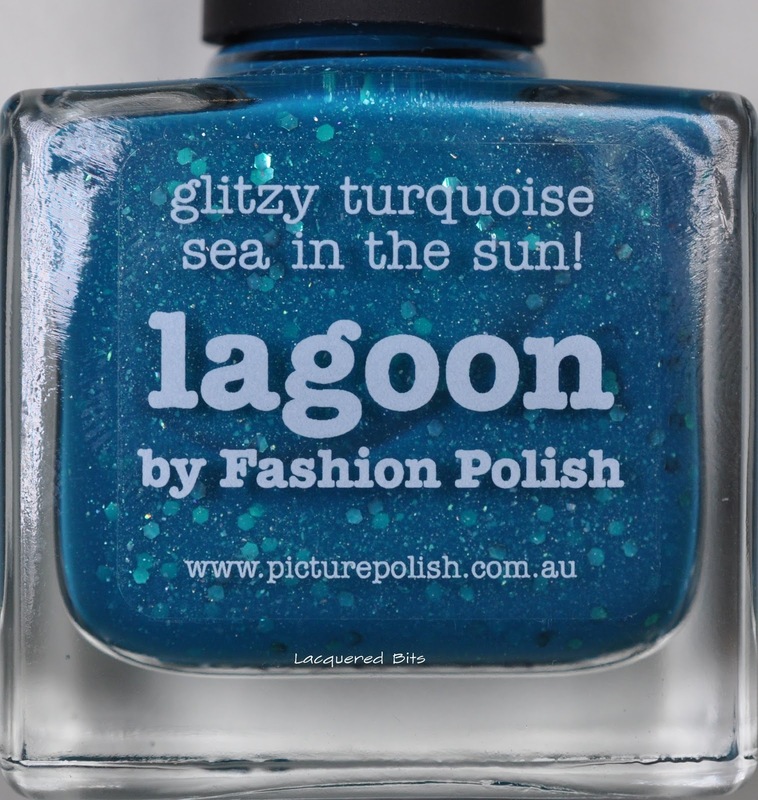 Apparently this polish photographs totally blue (it’s way greener in person). I checked on PP site and it’s the same there. 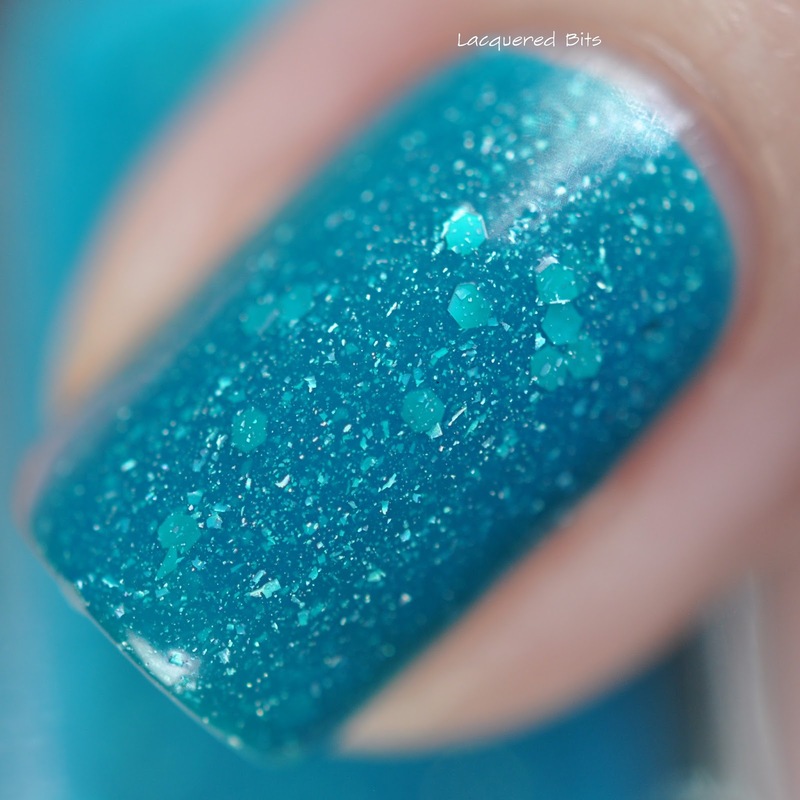 But it is a turquoise jelly scatter holo with a subtle smattering of ariel hex green glitter. And I still can’t believe how the blue undertones totally prevail over the greens. 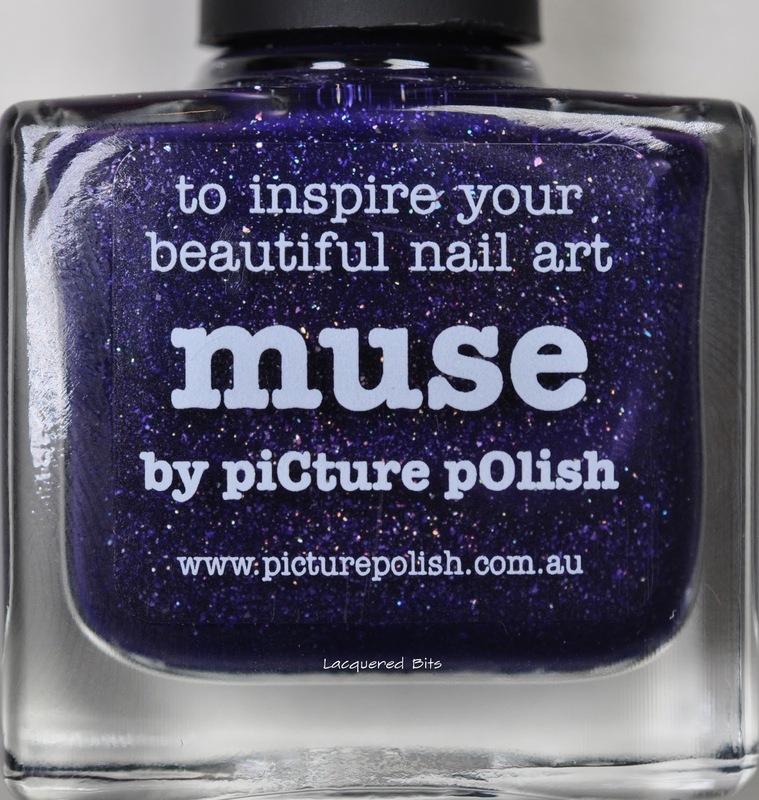 It has great pigmentation so it covers in two easy coats. 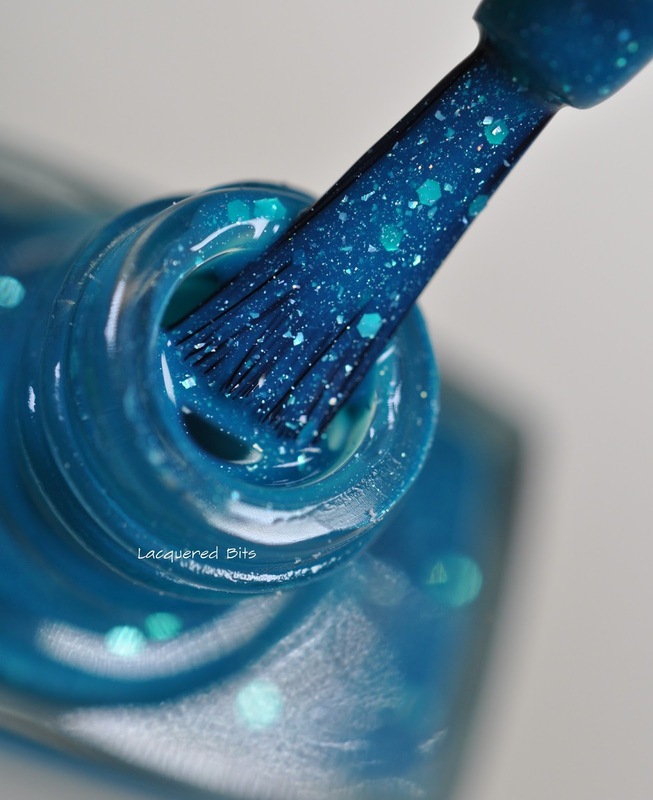 And it also has a weird smell, I suppose it comes from the blue pigments, because I have heard that blue polishes smell weird sometimes. 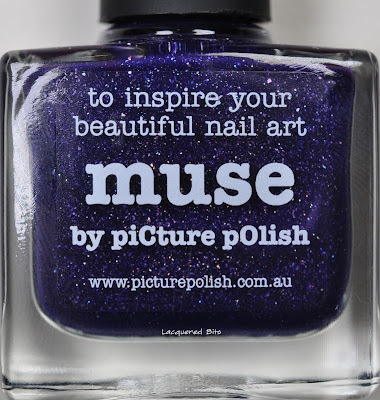 I also have to add that it didn’t stain my nails nor cuticles, which is a big bonus! 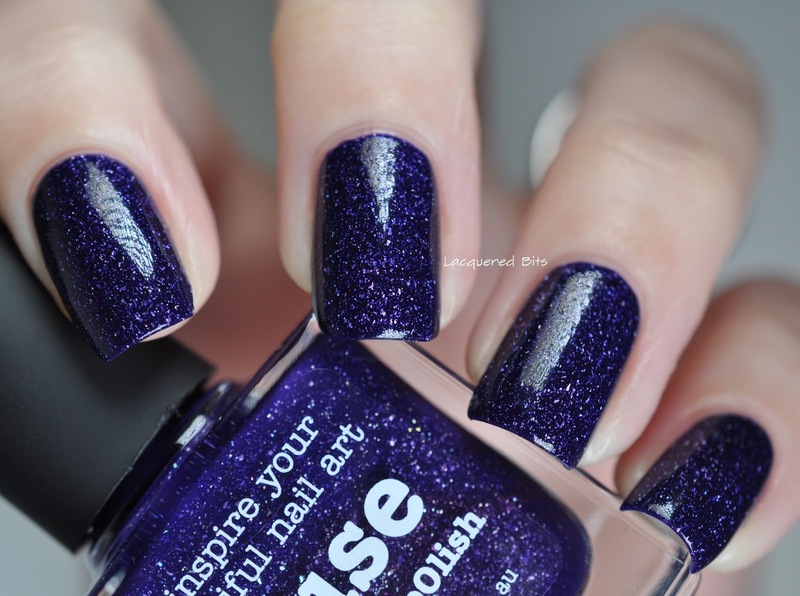 I love this polish, it’s sooo amazing! 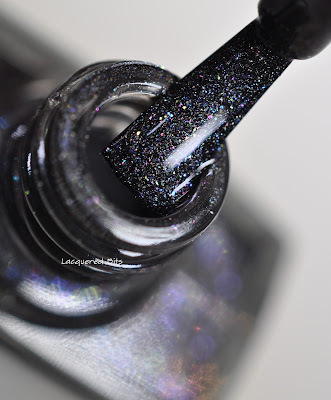 Dark grey base full of rainbow holographic particles. It was very easy to work with. I had no clean up to do after the application. 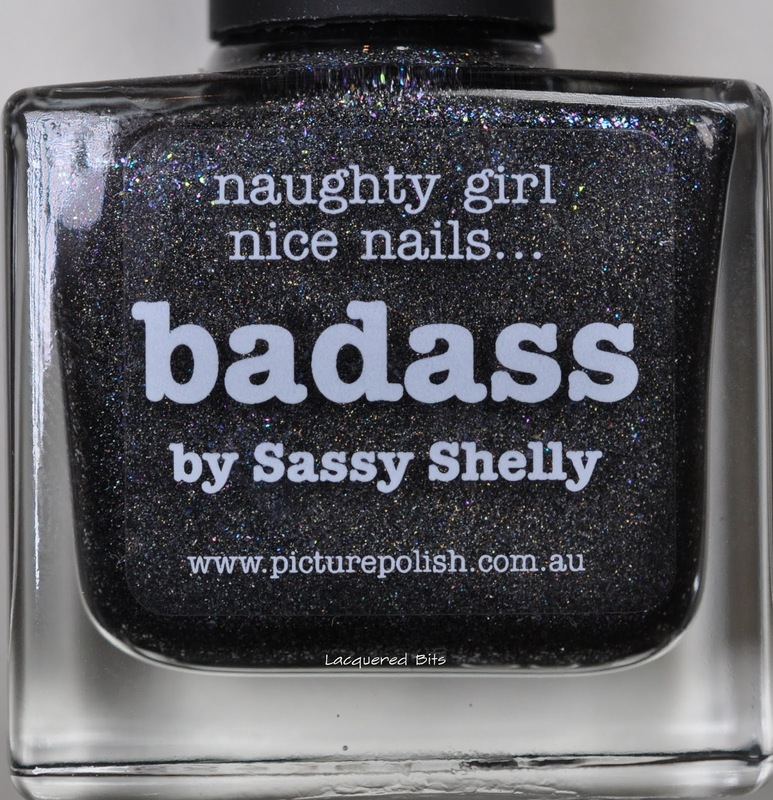 And it was opaque in two coats. 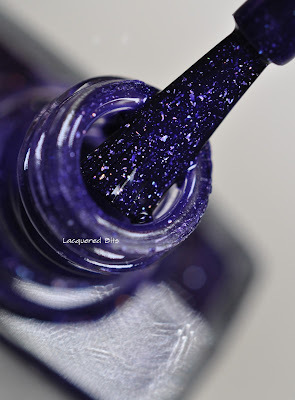 Scroll down to the macro shots and you will see the galaxies in there! 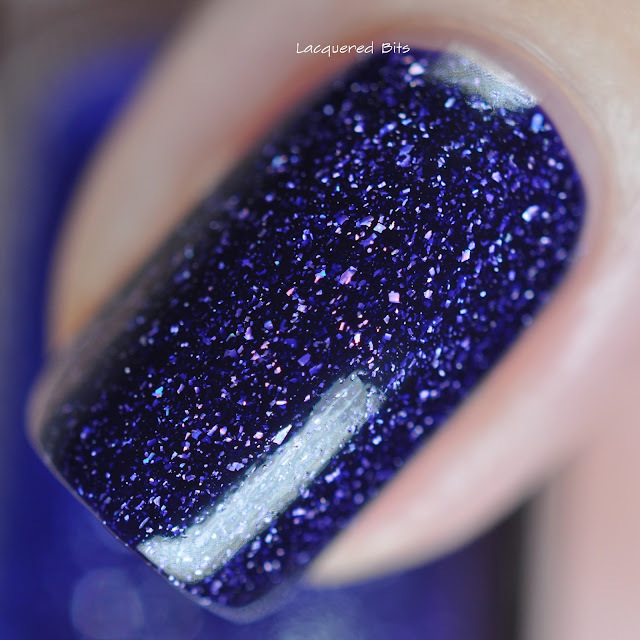 It’s really like looking in to the night sky that is dense with galaxies and stars in them. So beautiful! The pigmentation was again amazing, it covered in two coats, almost in one. And it smelled weird again, probably the blue pigments again. What do you think of the new shade guys? And of the older ones? I love them all and all are so easy to work with. 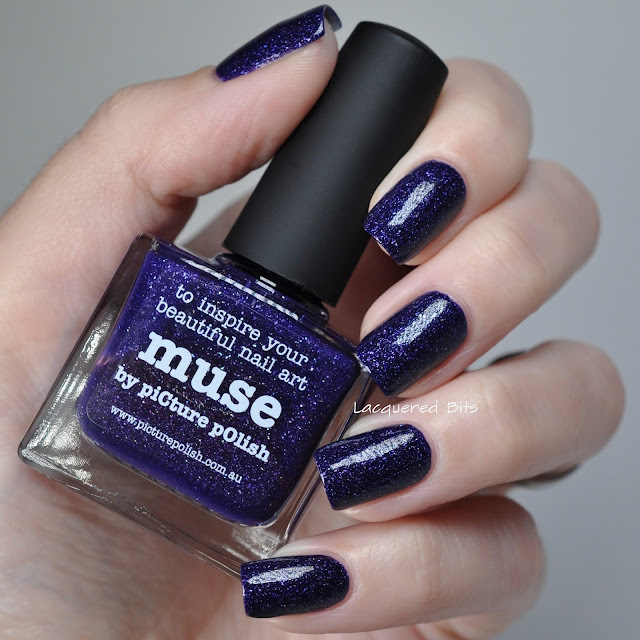 You can find their polish on piCture pOlish web site or at one of their international stockists. Again the macros of all three next to each other. These are such beautiful polishes! I really need to start a picture polish collection. Would you believe that I don't own even one!!?? The shame, I know lol.